These are a few questions we think about when we help building products brands connect with and engage their customers. In the current market, it seems many building products brands haven’t fully realized the power of anticipating their buyers’ needs, experiences and behaviors. Currently, anticipating buyer needs means recognizing that trades, specifiers, and GC's still are dealing with a bothersome shortage of labor. Construction sector employment, at around 7.1 million in January of 2018, according to U.S. Labor Bureau statistics, still hasn’t returned to pre-Recession levels. 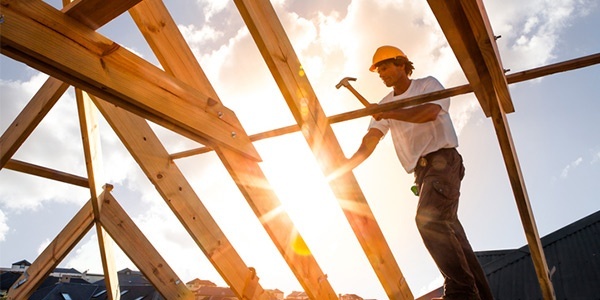 And a recent survey from the Associated General Contractors of America indicates that almost three-fourths of construction firms have had trouble finding qualified workers. What is the builder’s buying experience? As we’ve said before, the prolonged labor shortage affecting the industry still has trades pressed for time. They’re short-staffed, trying to do more with less, and focusing on the day-to-day. Commitments to their customers have to come first. What does that mean for building products brands? That, now more than ever, the commitments they’re making to trades have to align with buyer expectations in a time-sensitive market. Sure, brands that are able to save builders time should be able to have an edge in this market. But it takes more than that. In this market, promises need to go beyond “saving time” to why they’re saving time. Stories about saving time. How dealing with that brand in ways big and small saves specifiers and traders’ time. While keeping in mind that buyers of building products also expect to be able to trust that the brands and suppliers they choose will follow through on their brand promises. Need to do more with less? Our product requires fewer coats. Working with a skeleton crew? Our product is lighter and easier to carry. Require faster installations? Our product has less complexity and fewer install steps. In the current market, these are the sorts of promises that rise to the top. Great brands instinctively know this and find ways to make the point by addressing the day-to-day challenges their customers face. We exist to find the best way to insulate buildings. We believe our customer comes first. We believe our products must do what they say they do. We strive to anticipate what the customer needs before they do. Our products are the easiest to use. Our distributors work to save time from ordering to delivery. We are there when customers need us based on their calendars, not ours. Notice how the brand promises naturally respond to current demands. Now that labor and time both are stretched thin for trades, brands have more reason to highlight, promise and deliver these values. There are many great sources of information when it comes to discovering customer demands and opportunities. Two that we've discussed recently include Customer Service and Technical Support Teams. These are the sorts of platforms we aim to help our clients create, using a systematic process to highlight each brand’s purpose against its promises and prevailing market forces. From there, building products brands can develop messaging closely aligned to both. We'll share insights on this process in our next post. For details on the entire methodology, or simply perspective how your brand’s purpose aligns with promises and current demands, drop us a line. We can help you consider the tough questions and build out a responsive strategy.